It gave the much-required respite to the residents of the capital city from the soaring mercury. Earlier today, India Meteorological Department (IMD) had predicted thunderstorms and light rainfall in the NCR region. 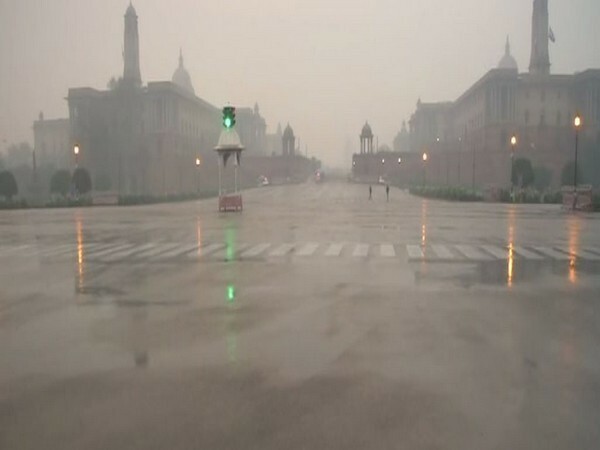 The minimum temperature in the capital on Sunday was recorded at 25 degree Celsius, while the maximum temperature is expected to be around 37 degree Celsius. According to Skymet Weather, day temperatures will continue to be around 38 degree Celsius to 40 degree Celsius for next a few days in Delhi. "In the presence of light winds, pollution levels over most parts of Delhi-NCR will remain in poor to very poor category," it said. At 8 pm in the evening, the Air Quality Index (AQI) was docking at 223 which falls in the "very unhealthy category." Thunderstorms accompanied with dust-storm, gusty winds (wind speed reaching 40-50 kmph) at isolated places are very likely to take place over Uttar Pradesh and Haryana, Chandigarh, and Delhi on Monday, said IMD. Due to rains and heavy winds in the national capital, Vistara has diverted its two flights to Lucknow -- one was scheduled to fly from Mumbai to Delhi and the other one from Dehradun to Delhi.